Premier Ace Magashule has promised to build four new classrooms for Bansvlei Combined School in Mangaung, 10 kilometres to the south of Bloemfontein city centre. He made this undertaking when he visited the farm school on the first day of the 2015 school calendar on Wednesday morning. Magashule also promised to organise a tour to India for the school’s mathematics and science teachers in order to improve their knowledge of the subjects, something which he said will trickle down as a benefit to the students. Bansvlei, which was originally built to accommodate 560 students, now has an enrolment of 801 learners. This has inevitably resulted in overpopulated classrooms which make teaching and learning difficult for both subject instructors and the learners. “We are going to build more classrooms for this school,” Magashule said. “Despite them being a farm school, they have managed to improve their 14 percent matric pass rate in 2011 to a 100 percent in 2013, and a good 82 percent for the 2014 matric examinations,” the premier added. Magashule said the extra classrooms should be ready for use by the end of the 2014/15 financial year. “The appointment of the contractor to carry out the construction should be completed in the next three months,” he said. Magashule said he was at the school to motivate and encourage both teachers and learners to start their new school year with the energy and zest that will see them improve further on the results they have been getting in the past years. 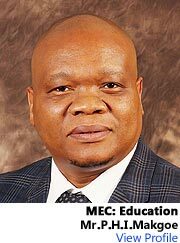 He said schools catering for farm dwellers are going to form part of his focus this year as they had been left out in the periphery in terms of infrastructure development and help for students to carry their studies further at tertiary institutions. “Farm schools are going to be my passion for the year and I will organise special bursaries for those wishing to study further from these schools because for far too long now they have had no one giving them bursaries and necessary help to improve their lot in life,” the premier said. 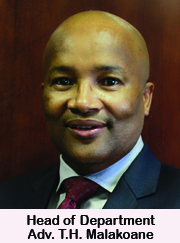 He added that Bansvlei, which out-performed most other schools in the province in the matric examinations, must be cautious not to enrol too many students from the townships around Mangaung at the expense of students from nearby farming communities. Magashule said because of poor results at some township schools, parents feel they have to take their children to performing schools outside of the areas in which they live. “If we are going to have the majority of students here coming from the townships instead of the farms, why bother to build a school here which we want to cater for the poorest of the poor?” he said. During the visit, Magashule also inspected the school’s new boarding quarters which are being built at a cost of R40-million. “We are happy, we are looking forward to a more productive year and I must say that being visited by the premier of the province on the first day of schooling is a real morale booster which we hope to build on for the rest of the year,” Bansvlei principal Tau Seheri said. Andile Sefadi, a Grade 8 pupil at the school who dreams of becoming a professional rugby player and a mechanical engineer in the future, had the luxury of sharing his desk with Magashule during the visit. “I only knew the premier from television news and photographs, but for him to come into my class and sit and talk with me, that I will never forget,” said the young lad. 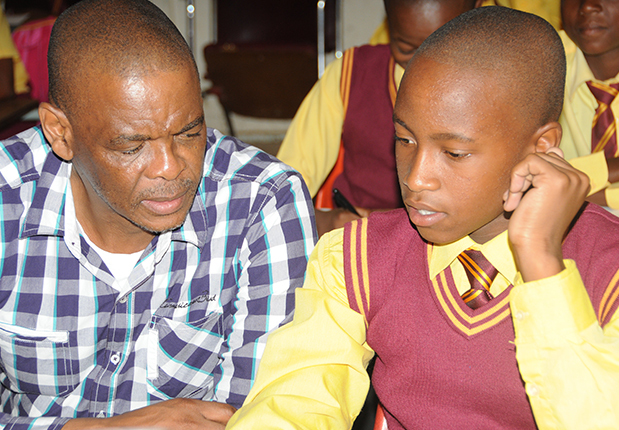 Magashule was accompanied to the school by radio personality and member of his intervention unit, Thuso Motaung.